The Premier Remondo Arched wardrobe door design is the same as the Premier Remondo-Square but with a arched centre section. With their many years of experience Homestyle always recommend receiving a quotation before placing an order for new wardrobe doors. Sample doors are a great way to ensure you know exactly how your new wardrobe doors will look. Web based images sometimes do not give a completely accurate portrayal of the door, so once you have decided on the door design and finish you like, it's a good idea to order that sample. Homestyle charge just £5.99 including free delivery for a full sized sample door. Homestyle will refund the cost of up to three sample doors when they are returned. 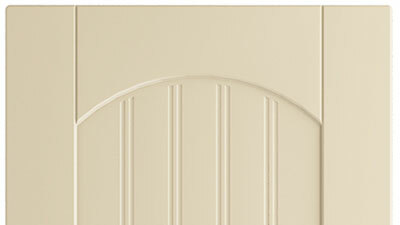 Click the button to purchase a Sample Premier Remondo-Arched design door.